This wild and crazy pineapple design is perfect for an outgoing or fun-loving person! 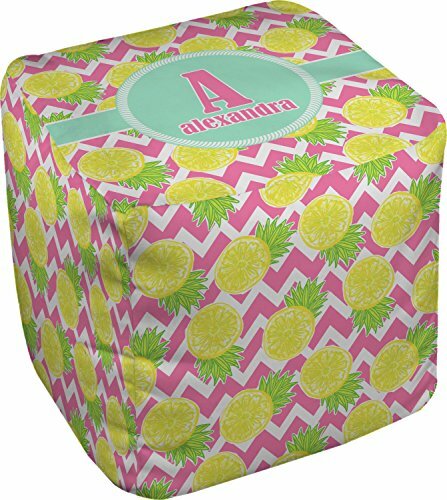 The main design has a background with bright pink and white chevron with some crazy yellow and lime pineapple slices scattered on top. A soft mint color is used for the ribbon and label, while a pink is used for the personalized name and initial.